FOR ALL QUALITY PLAN TEMPLATES - We guarantee that your quality plan will meet your contract's QA/QC submittal requirements. If not, we will quickly respond (in 48 hrs. or less) to your client's requests at no additional cost to you. We want you to be completely satisfied. Therefore, if for any reason, you are not satisfied with the products or services you receive from us, just let us know. 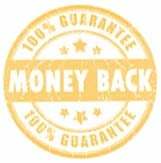 We'll refund your money, no excuses, no hassles. Our customers are very satisfied with the exceptional value they receive from our quality and safety products and services. We're confident that you will be too.